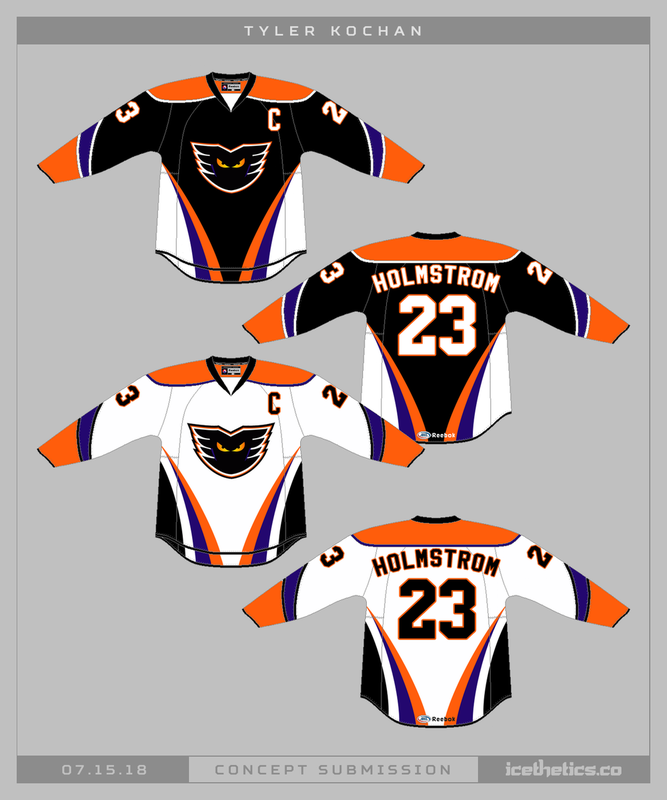 Haven't had the minors represented here in a while so enjoy this Lehigh Valley Phantoms set from Tyler Kochan. Tyler Kochan is bringing back the classics today. Despite the fact that we have three outdoor NHL games on the way with jerseys yet to be revealed, we're light on concept submissions — making this Outdoor Saturday tough to fill. But I do have this Caps submission from Tyler Kochan that's been collecting dust for a while. He created it for the Winter Classic in D.C. in 2015. There's a segment of hockey fans that would prefer minor league teams have unique uniforms and not simply carbon copies of their NHL parent clubs. The Bridgeport Sound Tigers are a prime example so Tyler Kochan gave them their own look. Sundays are for the minor leagues around here and today features not one or two but three unique concepts for one team — the San Diego Gulls. First up from Tony Lieb is a design that would fit nicely in the 1970s even if it is a little over simplified. This one from John Elbertson borrows the color palette of their NHL affiliate in Anaheim. 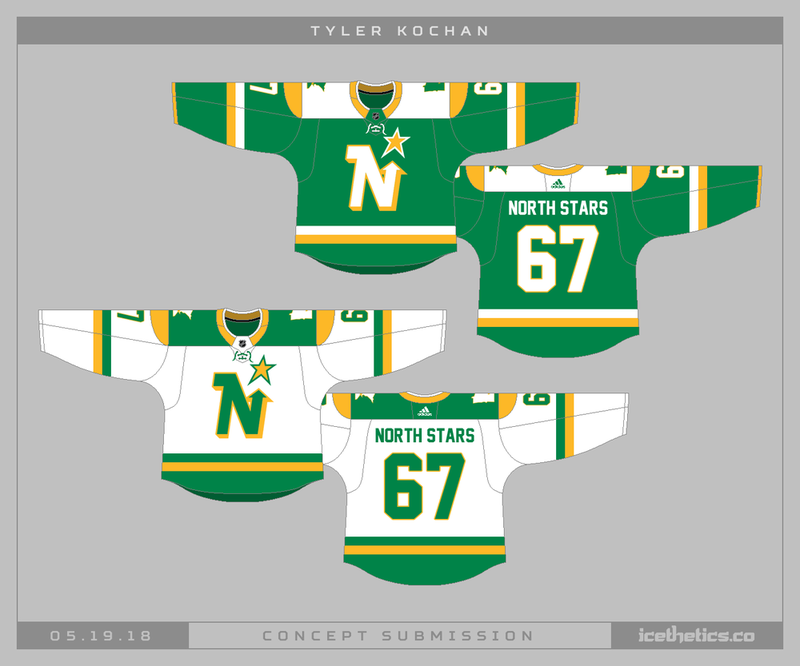 And this design from Tyler Kochan is a revision to the team's existing look.